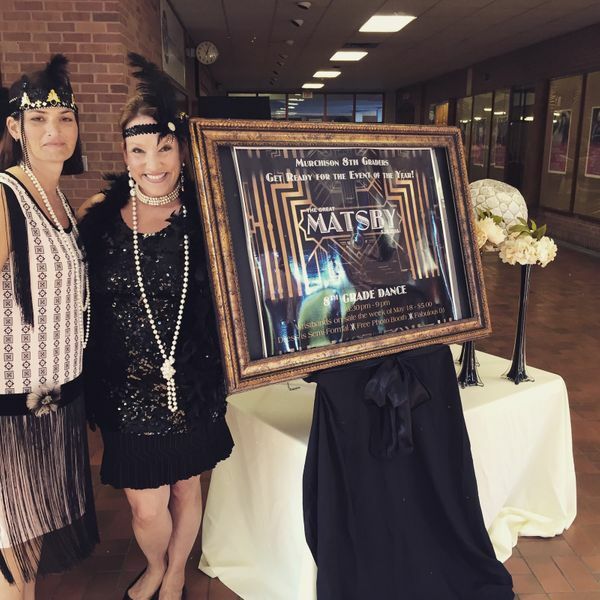 Parent volunteers and students got all dressed up for the final 8th grade dance of the year, that went by the name "The Great Matsby" (Mat for Matadors). Here are two of the parents that helped put this whole thing together. We had almost 280 students show up and fun was had by all, even when the air conditioning turned off over an hour early.